The field of technology is ever changing, and for some companies, it is difficult to afford the equipment, software or continual training to keep their business relevant. As companies develop and innovate, they can experience growing pains within the IT department. 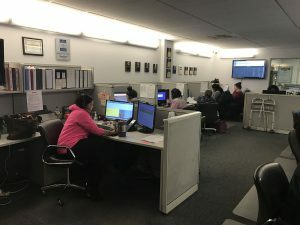 In order to improve their productivity and reduce downtime, many companies are opting to rely on technology outsourcing services (such as call center support or data management) to manage customer and client IT needs. There are several reasons why outsourcing your technology services can be beneficial to your growth and bottom line. One primary reason is to reduce company spending. Outsourcing reduces both capital and operating expenses, as the company is not purchasing the hardware or physical space to house a data center. An entire team of highly trained employees is provided through outsourcing, making costs for IT expenses predictable. A monthly contract of fixed charges includes network access, employees, training and management. Having fewer expenses increases revenue. Outsourcing also allows your company to shine in multiple areas. Many companies have limited experience in IT or technological support, relying only the functions of a working IT department to support their specific areas of operation. By outsourcing IT, you allow experts in the field to boost your performance in a department that may have otherwise been a weak link. Call center support can more effectively handle customer troubleshooting or assist employees with data management. Through outsourcing, your company is also able to offer its consumers and investors more flexibility while reducing risks. As technological advancements occur rapidly within the industry, it is critical to adopt or abandon new programs, software or equipment. This could be costly if the wrong investment is made. Third-party outsource companies have experience with a variety of programs, equipment or solutions, making them a valuable resource in developing an IT strategy. With the help of Central Communications, you can boost your business agility and increase your revenue. Their experience will provide quality management and execution of your technological needs, keeping your company relevant and customer-focused.